We are 10 days from the end of the third nine weeks! If you received a progress report from me today, you have until MONDAY, MARCH 5 to turn in any missing work for partial credit. Blocks 1, 2, 3, 5: Today in class we did a think-pair-share to explore our ideas on the topic “Is seeing believing?” We looked at a photograph of a huge alligator and decided if it had been photoshopped…then read the article and found out it had not been! Then we discussed the author of the next novel we will be reading, you read an article about him, and wrote a summary of what you discovered about him. Block 4: Today in class you took a vocabulary test over the first set of words from our book and completed a comprehension check over part one of the book. ALL Blocks were in the media center today to check out a new pleasure reading book. Blocks 1, 2, 3, 5: Today in class you checked out a new book, and those of you who needed “redemption” were allowed to redo an assignment for more points. Block 4: Today in class you checked out a new book, and did a carousel brainstorming activity looking at pictures from Louis Zamperini’s life. You discussed with your peers what the pictures meant and what you could infer about Louie’s character at each particular phase of his life. Shopping Hours: Mon. – Thurs. 8:30 a.m. – 3:45 p.m.; Fri. 8:30 a.m. – 1:30 p.m. Blocks 1, 2, 3, 4, 5: Today in class all blocks completed and entered answers to the Q3 touchstone. Afterwards, students had time to work on missing assignments or read independently. 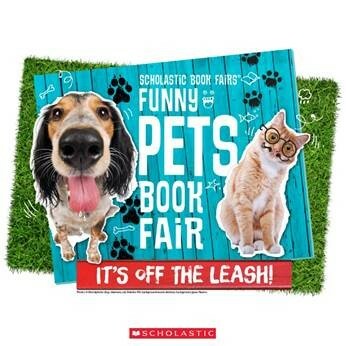 ALL classes will go to the media center tomorrow to check out new pleasure reading books. Blocks 1, 2, 3, 5: Today in class we finished biography presentations. We will be starting a new unit when we return from break. HW 1, 2, 3, 5: Enjoy your break! Block 4: Today in class we finished chapter 5 in our book and you had time to complete your Twitter summaries. HW 4: Enjoy your break! Blocks 1, 2, 3, 5: Today in class we continued our biography presentations. Tomorrow will be our last day to present, so if you have not yet had your turn, be prepared! You will be presenting tomorrow. Block 4: Today in class we read chapter 4 in our book and you had time to write your Twitter summaries and work on your characterization chart. Blocks 1, 2, 3, 5: Today in class we continued biography presentations. We will be presenting tomorrow and will finish up by Friday. Block 4: Today in class we read chapters 2-3 of Unbroken and discussed what it means to be resilient/how to develop resilience. Blocks 1, 2, 3, 5: Today in class we finished up Australia presentations and began our biography presentations. We will be continuing presentations for the rest of the week. Please check your grades to see if you have any missing assignments that need to be turned in before the winter break. Block 4: Today in class we started reading our book, Unbroken. I have attached the vocabulary PPT for those of you who did not get to all of the definitions yesterday in class. Remember, we are only focusing on the words for part one of the book right now. We will be reading again tomorrow. Blocks 1, 2, 3, 4, 5: Today in all classes we took the Georgia Health Survey (unless you opted out or had been absent and not notified). Blocks 1, 2, 3, 5: tomorrow in class we will get back to our Australia presentations to finish them and then will immediately start with our biography presentations. Block 4: Those of you who did not take the survey, and then others as you finished worked on the first set of vocabulary words for Unbroken. We start reading the book tomorrow. HW 4: Bring your Unbroken book, if you got one. Blocks 1, 2, 3, 5: Today in class we continued research presentations about Australia. We should finish all groups tomorrow! Block 4: Today you were able to use the media center to work on your final, revised research papers. Some of you were able to finish and turn your in 🙂 We will be back in the media center Thursday in case you still need to work.